Now just as we thought they'd starting shooting, another poster of a CA Qualifier event appears.. The F. M. T. THE. (Federation Muay Italian Thai) in collaboration with the Kombat League is organizing the official Italian selection for The Contender Asia Season Two in the Palapanini of Modena on March 7, 2009. 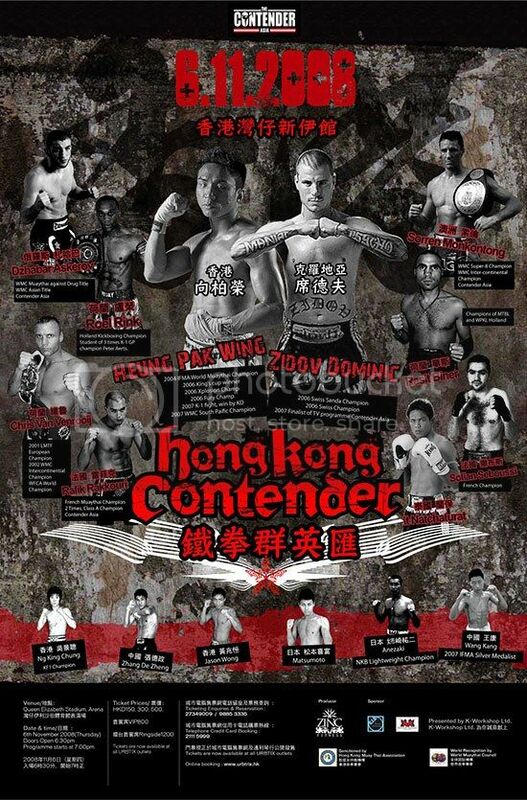 Pak-Wing Heung (Hong Kong) defeated Zidov Dominik (Croatia/ Switzerland) by 2nd round TKO (Referee stoppage) to represent Hong Kong in Contender Asia Season 2.